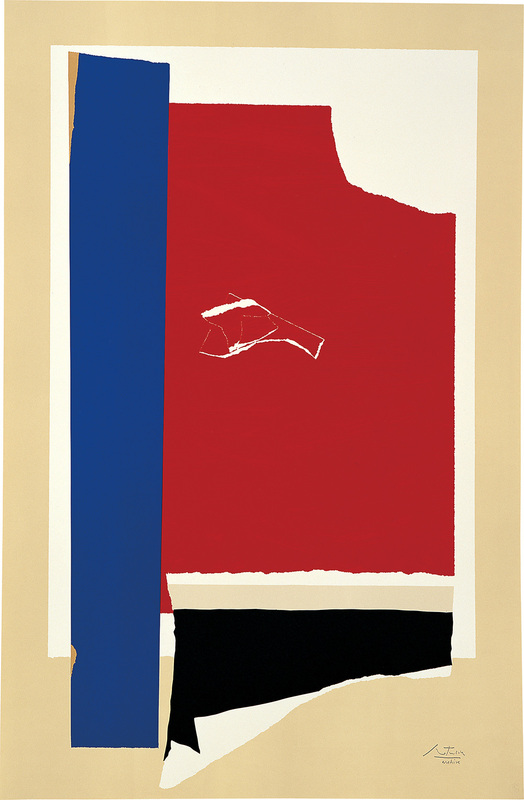 Robert Motherwell was a major figure in the birth and development of Abstract Expressionism and the youngest member of the 'New York School', a term he coined, becoming very close to Jackson Pollock and Mark Rothko. His career spanned five decades during which time he created some of the most iconic images of the 20th century. A passionate advocate and articulate spokesman for Abstract Expressionism, he believed that ideas and emotions were best communicated through the bold forms and gestural lines of abstract art. He studied philosophy at Stanford University, art history at Columbia University under Meyer Shapiro, and obtained a doctorate from Harvard. In the 1940s and 1950s he lectured at Black Mountain College, North Carolina, where he taught Robert Rauschenberg and Cy Twombly, and later at Hunter College, New York. His major series include the infamous Elegies to the Spanish Republic, the Beside the Sea series, the Lyric Suite, and the Open series. Motherwell founded the Dedalus Foundation in 1981 in order to foster public understanding of modern art and modernism; they have sponsored the catalogue raisonee of his paintings, collages and paintings on paper, which has just been released in November 2012. He has exhibited worldwide, and his work can be found in the collections of major art institutions including the Tate Gallery, London; Peggy Guggenheim Collection, Venice; Guggenheim, Metropolitan Museum of Art, and MOMA, New York; Paul J Getty Museum, Los Angeles; and the Art Gallery of Ontario, Toronto.